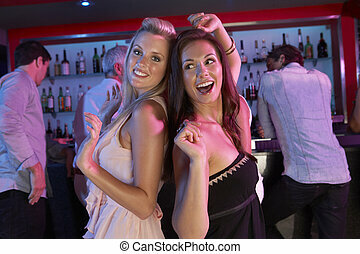 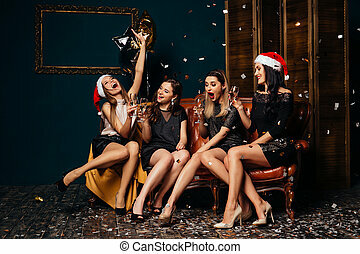 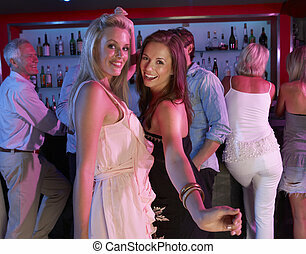 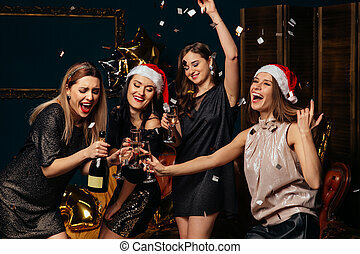 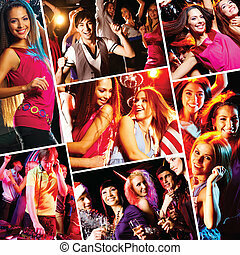 Women clubbing fun. 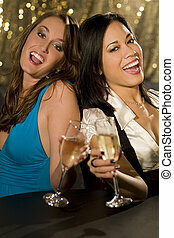 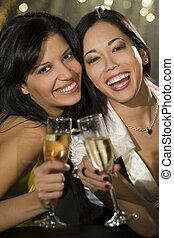 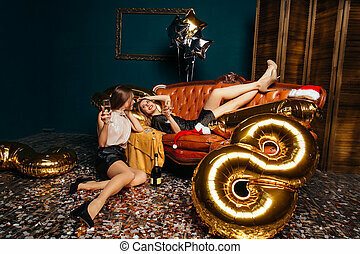 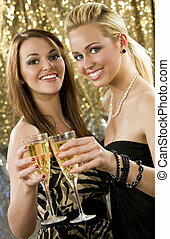 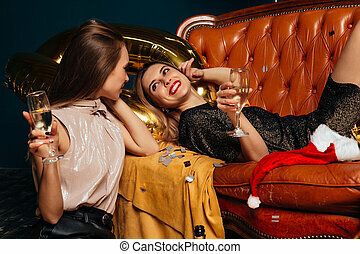 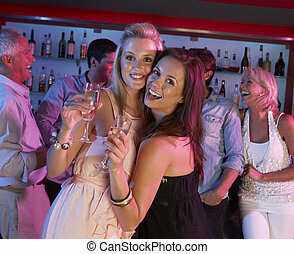 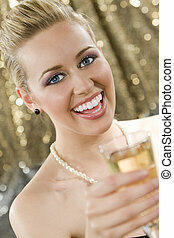 Two beautiful young women enjoying champagne in a nightclub. 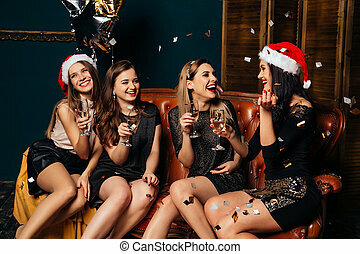 Four glamour women drinking champagne and having fun. 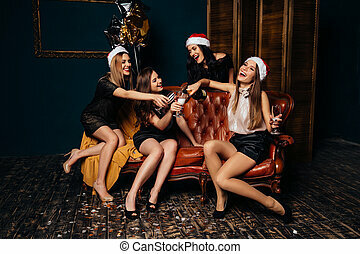 Party and Christmas concept. 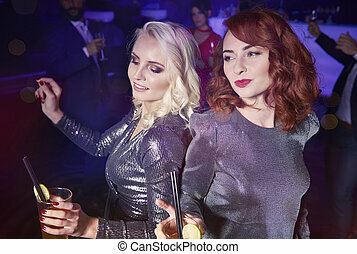 Stunningly beautiful young latina Hispanic woman in drinking a cocktail by a blue swimming pool with her friend in the foreground. 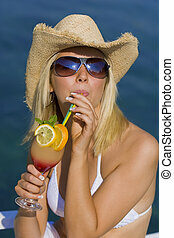 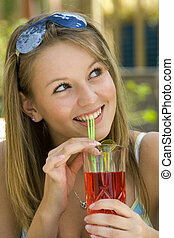 A young lady drinking a tall drink outside enjoying the summer sunshine. 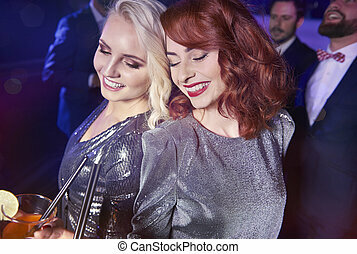 Two gorgeous young blond women laughing and illuminated by summer sunshine.